There is nothing quite like driving a luxury SUV. Along with a significant amount of interior space, you end up with a vehicle loaded with advanced technology, infotainment, and safety features. For the best selection and affordable prices on a new Macan or Cayenne, it is essential to visit a reputable dealership just outside Terrytown, LA. From the minute you arrive, a professional salesperson will greet you. After gathering pertinent information, that individual will show you the best trim levels of each luxury SUV model and recommend you take a few of them out for a test drive. By tooling around town and on the highway, you will gain a much better feel for how each model and trim handle on the road. As far as the 2018 Macan, this luxury SUV is sportier than the Cayenne. For that reason, you will notice a punchier engine. Among the six different trims, a lot of buyers lean toward the mid-range S. The incredible power and fantastic acceleration combined with a refined and comfortable ride make this trim perfect for drivers of all ages. The new Macan luxury SUV offers a lot more. For one thing, it boasts an innovative “sport” button used to improve throttle response and enhance steering. In fact, when it is in the “on” position, this feature turns the Macan into one of the best-handling SUVs on the road today. The Macan also has a gorgeous cabin, complete with leather seats, heated mirrors, and a top-of-the-line Bose audio system. Along with a long list of standard features, you can optimize the Porsche Macan luxury SUV in multiple ways. With eight gorgeous trims, imagine how much fun you would have turning this vehicle into your dream machine. The various trims come with different engines. While the SE Hybrid is obviously the most fuel efficient, if power is what you want, check out the Turbo S with a V8 that produces 570 horsepower. Other reasons to consider the Cayenne luxury SUV include superior-quality materials, comfortable seating, and a quiet and smooth ride. If you enjoy spending weekends off-roading, you can use this vehicle thanks to ample ground clearance and all-wheel-drive. You can even tow up to 7,716 pounds with your new Cayenne. 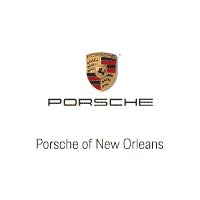 Why settle when you can drive home in an incredible SUV from Porsche of New Orleans? Visit our Metairie dealership, not far from Terrytown, LA, and let the fun begin.